The new TimeCutter® HD zero-turn mower does more than cut grass to perfection. 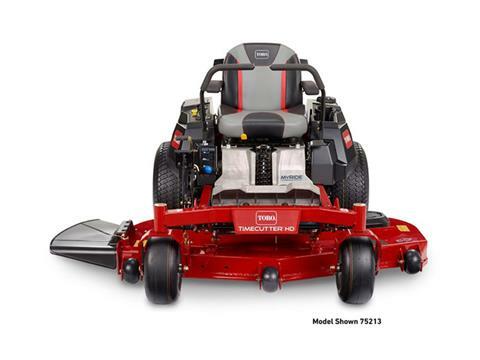 It can also cut your mowing time almost in half. Time savings are from 2008 - 2012 survey results for Toro residential zero-turn mowers, as reported by owners. But when you're bouncing around on rough terrain, speed won't do you any good without superior comfort to match. The smooth MyRIDE® Suspension System features a suspended operator platform that cushions you from bumps and vibrations, so you can be more productive and stay comfortable. Available on select models. And the heavy-duty GRADE 50 high - strength steel deck is nearly 50% stronger than other decks, so you can power through tough grass. 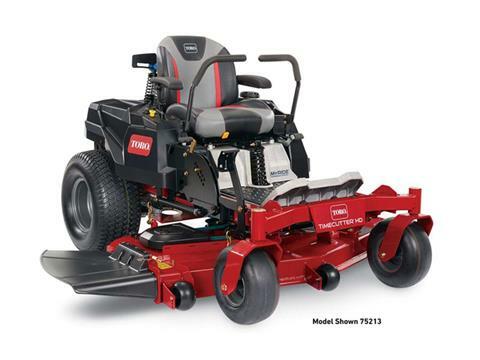 You'll not only enjoy mowing - you'll enjoy more free time. * Time savings are from 2008-2012 survey results for Toro residential zero-turn mowers, as reported by owners. ***Compared to regular 11-ga. steel decks. MAXIMUM COMFORT: Once you take hold of the controls, the rest of your body is isolated from the mower. The suspended operator platform allows you to float with 3" of travel - double that of a standard suspension seat*. * Typical suspension seats in this class have 1.5" of travel. ATTACH BUCKETS: Take a utility bucket with you to carry tools, debris or other supplies. Simply rest your bucket on the lip built into the rear engine guard, and secure it with a strap to hold it in place. * Bucket and strap not included. The gross horsepower of this engine was laboratory rated at 3,600 rpm by the engine manufacturer in accordance with SAE J1940. 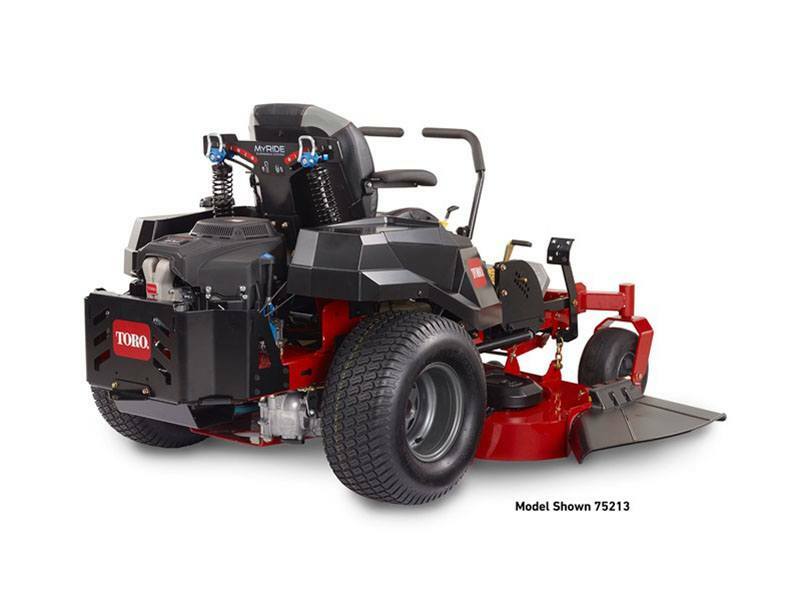 As configured to meet safety, emission and operating requirements, the actual horsepower on this class of mower will be significantly lower. We reserve the right to improve our products and make changes in the specifications, designs and standard equipment without notice and without incurring obligation. 54 in. (137 cm) Fabricated - Grade 50 High Strength 10 gal. See retailer for warranty details.